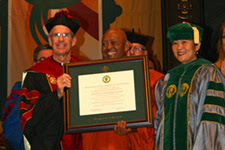 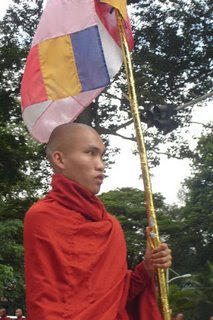 University of San Francisco recognized the efforts of the burmese monks by giving out an honorary award for their role in September peaceful protests. 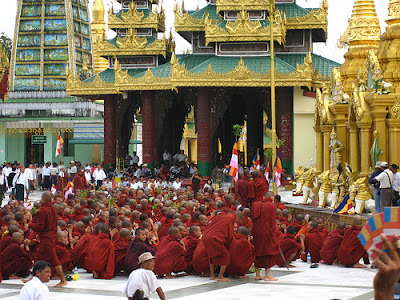 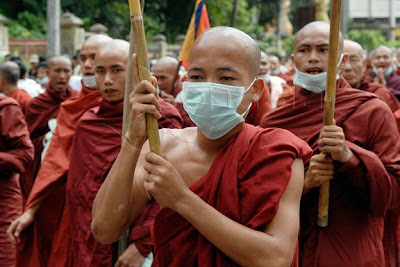 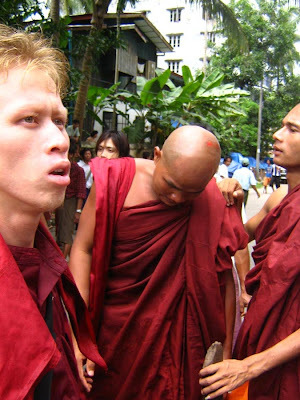 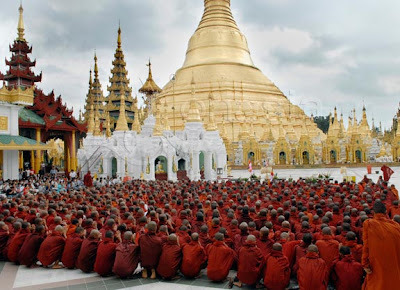 We, burmese people, feel very proud and happy for our monks. 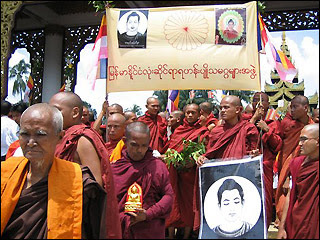 To further honour the sacrifices made by our monks, the collection of various pictures of the monks during the September movement are presented below. 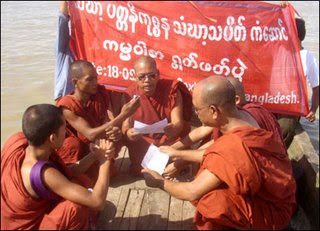 Below picture shows the senior monk, who is 83 yrs old, giving a speech on 25th September, to the crowd regarding why we had to carry out peaceful protests. 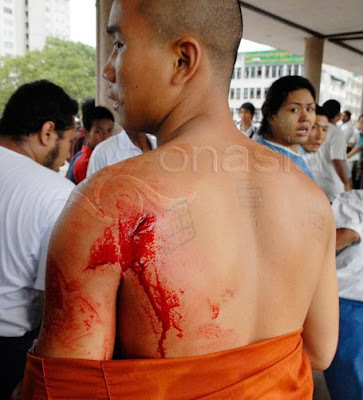 Below pictures shows the monk who was injured on the back by a bullet on 27th September. 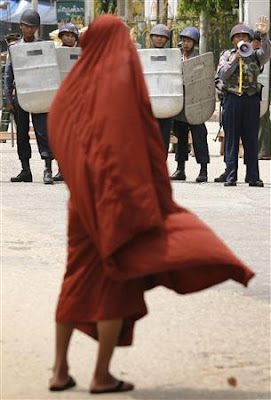 We should respect and honour the sacrifices made by the monks. 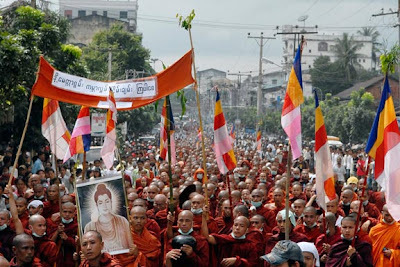 Let us continue to move forward till Burma gets its freedom.